In Best Gaming Mouse of 2011 – 2012 we’ll first list and review the best rated mice for gaming and then we’ll cover a few terms you should know when purchasing a mouse. If the mouse you’ve been looking for isn’t featured here or if you know which one you want, then look above at our gaming mouse tab for a full list and price comparison of the top rated gaming mice this year. The Logitech MX 518 is the most popular gaming mouse in the market, by far. This is because of its no nonsense approach to providing gamers with the accuracy and sensitivity they need for the price that they are willing to pay. 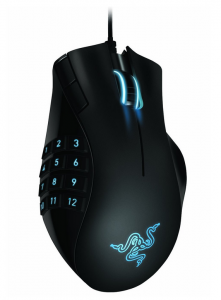 Features: Up to 1800 DPI, in game sensitivity switching, and 8 programmable buttons. It also includes a 3 year parts and labor warranty that should cover you (unless you throw it against the wall). If there is one limitation to the Logitech MX 518 it’s that it does not have adjustable weights. For those of you who are used to a standard computer mouse this shouldn’t be a problem. Another solid gaming mouse option is the Razer Naga MMOG which was built and designed specifically with MMO gamers in mind. It includes 17 MMO-optimized buttons (includes a 12 button thumb grid that you can see in the photo to the left) and 5600 dpi Razer precision with a 3.5G laser sensor for the sensitivity and accuracy you want. For those who have multiple characters, the Naga has unlimited character profiles so that you can fine tune your buttons to fit with your character. In addition the ergonomic form allows you to comfortably play games for extended periods of time. Comes with a 2 year parts and labor warranty. The Logitech G500 has consistently been a top rated gaming mouse. The graming grade laser gives you the precision that you want and the onboard memory lets you take all of your programmed buttons/settings with you to LAN parties. Another plus to the G500 is that it comes with up to 27 grams of extra weight so that you can have the exact feel that you like. The G500 also comes with on the go sensitivity adjustment, 10 programmable buttons for gaming, and a 3 year parts and labor warranty. DPI or dots per inch determines the sensitivity in your mouse. According to ARS Technica the DPI of your mouse may not be as important as you think it is. Simply put accuracy, rather than sensitivity, is the most important feature for professional gamers. They also mention that professional gamers tend to set their mice at anywhere “between 800 to 1600” DPI, so if you get a mouse that’s in this range you should be more than fine. Pay attention to the Hz. Anything around 1000hz should more than suffice for your gaming needs. Most top of the line gaming mice can now be used as wireless or corded. Because of recent updates most higher-end wireless mice have a response time just as good as the USB mice. A good gaming mouse will be ergonomically designed for whatever gaming hand you use. On amazon you can search for right handed or left handed gaming mice designs. 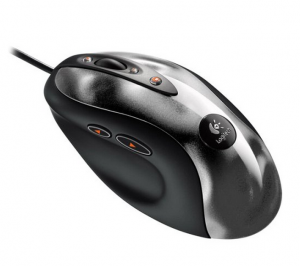 An ergonomically designed gaming mouse flows easier and allows you to play comfortably for many hours at a time. Especially important for MMORPG gamers macro buttons increase your ability to respond quickly to your environment. Depending on what type of gaming you are doing you may or may not want a heavy mouse. If you only play with one type of mouse, then consider the weight of the mouse you’ve been researching as well as all of the above options. Many higher-end mice come with the ability to add or subtract weight from your mouse. Thanks for reading this guide to the best pc gaming mouse of 2011 be sure to check out our gaming hardware lists in our tab section above! You forget Logitech G700 and Logitech G9x. Will – thanks for your comment. Look above at the top ten gaming mouse (tab) to see our list. It includes both the G700 and the G9x. Been using the Logitech G9x Laser mouse for a while now and found that it’s far superior to any others on the market..